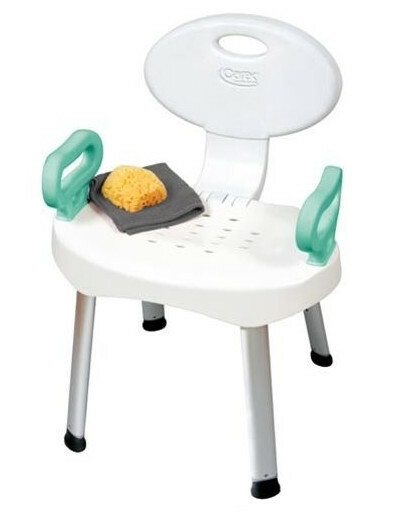 The Carex EZ Bath & Shower Seat with Handles is a sturdy and supportive chair designed for use in compact areas like the bathtub and shower stall. 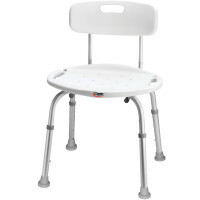 With a specially engineered folding frame and adjustable height base, this deluxe shower chair delivers the convenience and support you need in the bathroom. 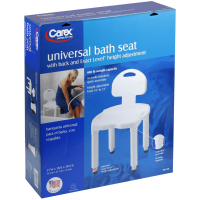 Easily assembled and built to last, the Carex EZ Bath & Shower Seat features large ergonomic handles for easy manuevering around the bathroom, and a textured, vented seat top for ultimate slip prevention. The seat back also folds and the legs can be removed to allow for easy transport or storage.